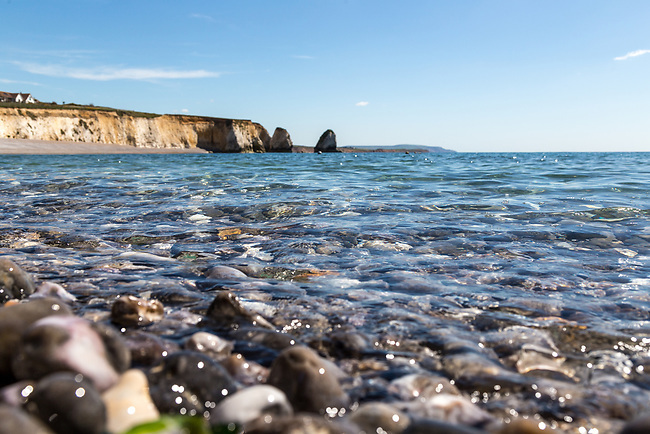 Spring on the Isle of Wight, the wildflowers are in bloom on the cliffs and the canoeists are enjoying themselves in the sea at Freshwater Bay. Beautiful spring day at Freshwater Bay on the Isle of Wight. With wildflowers in bloom on the cliffs and canoeists are enjoying themselves in the sea below.